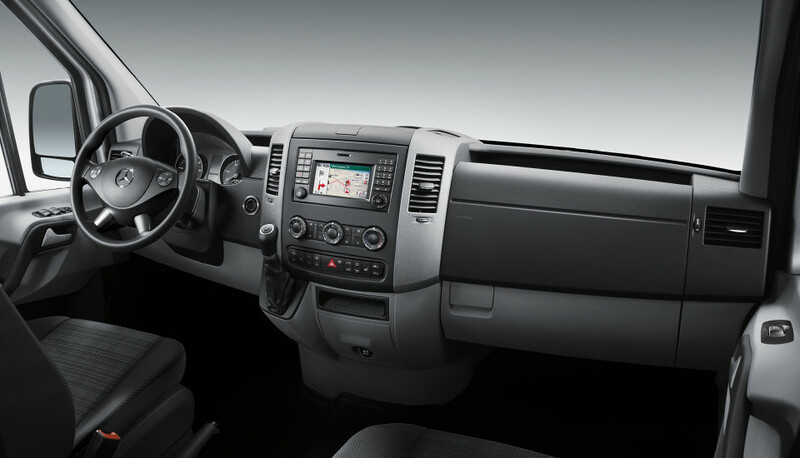 Color Display: The standard central screen lets drivers manage handsfree calling, audio streaming, USB connection, and MP3 playback via a crisp, user-friendly interface. 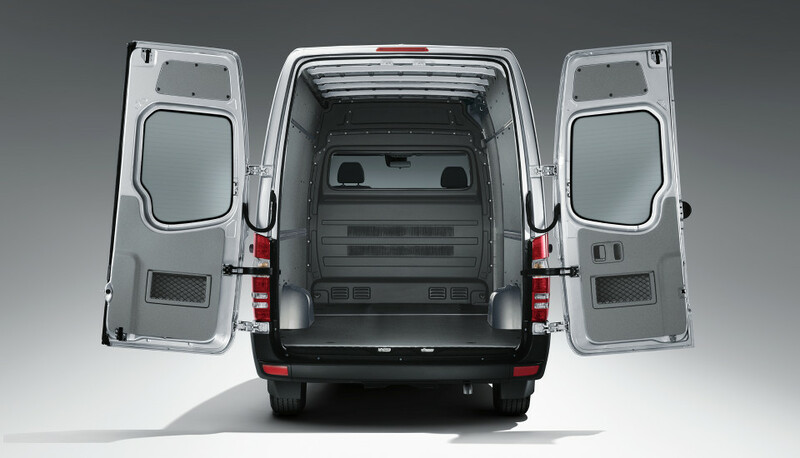 270-Degree-Opening Rear Doors: Compared to the Transit Van's standard 180-degree-opening rear doors, the Sprinter Van's rear doors offer greater flexibility during loading and unloading. 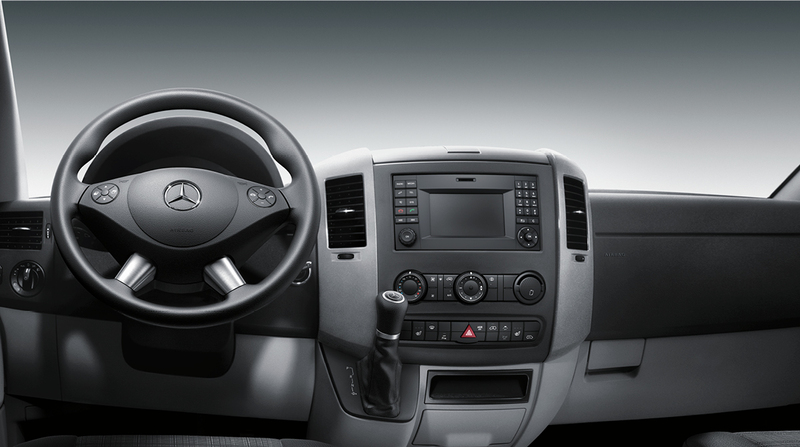 Interior Standing Height: While the regular wheelbase, low-roof Transit Van's cargo height measures in at 56.9 inches, the interior of the 144-inch wheelbase, standard-roof Sprinter Cargo Van is more accommodating at 66.5 inches. Daytime Running Lights: Daytime running lights-an optional feature for the Transit-increase the Sprinter Van's visibility to others on the road, boosting safety during daytime driving. Cargo Area: In the Transit lineup, the max cargo volume-542.2 cubic feet- belongs to the extended-wheelbase, high-roof Transit Van with its front-passenger seat removed. The extended-wheelbase (170 inches), super-high-roof Sprinter Cargo Van brags a massive 586.1-cubic-foot cargo area and still seats up to three passengers. Payload: The Transit 350HD (148-inch extended with 3.5L engine) wows with its max payload capacity of 4,650 pounds. 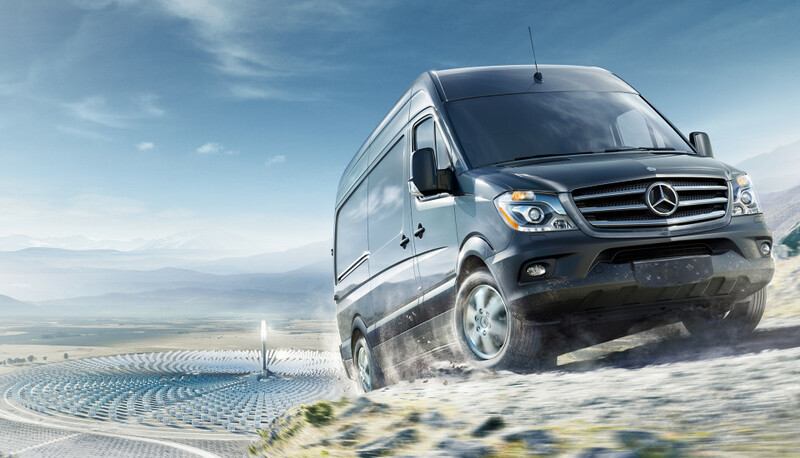 The Sprinter Cargo Van with a 170-inch wheelbase, high roof, 11,030-pound GVWR outdoes the Transit with a max payload capacity of 5,133 pounds. Towing: Depending on the configuration, the Ford Transit can tow up to 7,500 pounds. The Sprinter Cab Chassis matches the Transit Van's max towing capabilities. Built to accommodate your business's needs, the 2018 Ford Transit Connect Van has a peak towing capacity of 2,000 pounds. If you opt for the long wheelbase configuration, you'll enjoy 104.2 cubic feet of cargo space, as well as a payload capacity of 1,270 pounds. On the other hand, the 2017 Mercedes-Benz Sprinter Cargo Van with a standard roof and 144-inch wheelbase tows up to 5,000 pounds without breaking a sweat. The upfitting-friendly cargo area expands to a whopping 319.1 cubic feet, and can haul as much as 3,512 pounds. 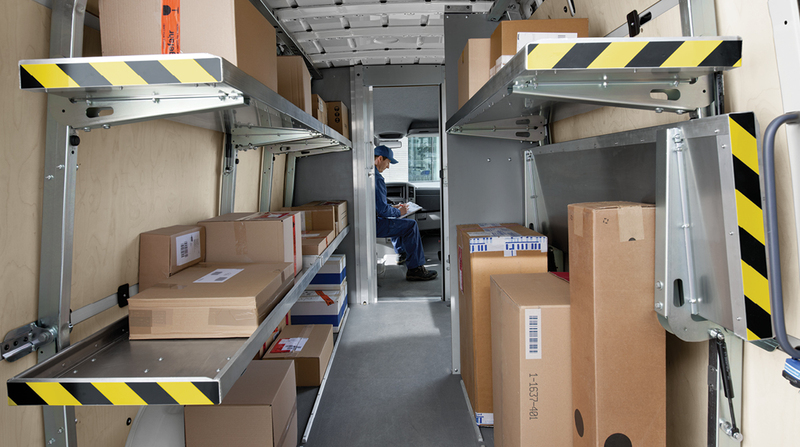 While the Transit Connect Van's capabilities max out at its long wheelbase trim, the Sprinter Cargo Van's payload and cargo area capacities only increase as you move up the line.